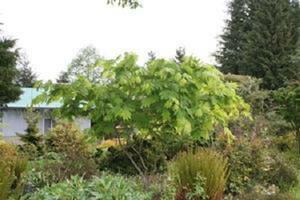 A large leaved japonicum. Leaves are almost as big as your head. Very nice fall colors of yellow, orange, and red.